ProLung is the world leader in accurate, non-invasive, and radiation-free predictive analytics for the rapid risk stratification of lung cancer. Lung cancer has the lowest 5-year survival rate of all major cancers. Successful treatment of lung cancer is dependent on early detection. Time to diagnosis directly affects outcome and survival rates. The need for a predictive analytics solution is clear. The ProLung Test is an innovative predictive analytics technology and non-invasive test for the risk stratification of indeterminate pulmonary nodules that can lead to lung cancer. It uses precision proprietary volume-averaging bioconductance technology to measure the difference in conductivity between malignant and benign lung tissue. The patient’s test results are analyzed to produce a personalized and predictive score indicating the likelihood that a particular nodule in the lungs is malignant. The ProLung Test has demonstrated accuracy in published clinical trials. 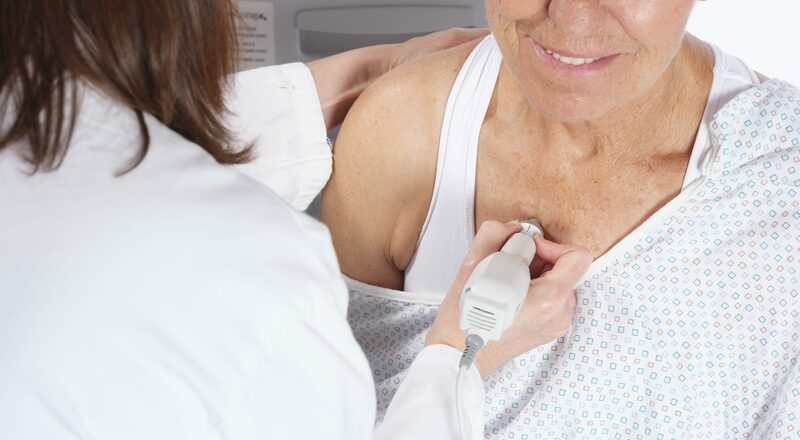 The ProLung Test is non-invasive and emits no radiation to the patient. The ProLung Test requires less than 30 minutes to perform and produces results within 24 hours. ProLung’s mission is to ‘make a difference in time‘ by striving to improve outcomes for potential lung cancer patients through predictive analytics technologies; facilitate cost savings to patients, payers, and providers; and provide a fair return on investment to shareholders and other stakeholders. We are committed to making a positive and significant impact on the healthcare community while being socially responsible in all our endeavors.